Naivete can be an asset in Silicon Valley. Founders with purity of vision, like Facebook’s Mark Zuckerberg, move fast and break things. The approach can upset established industries, run afoul of regulations, or both. 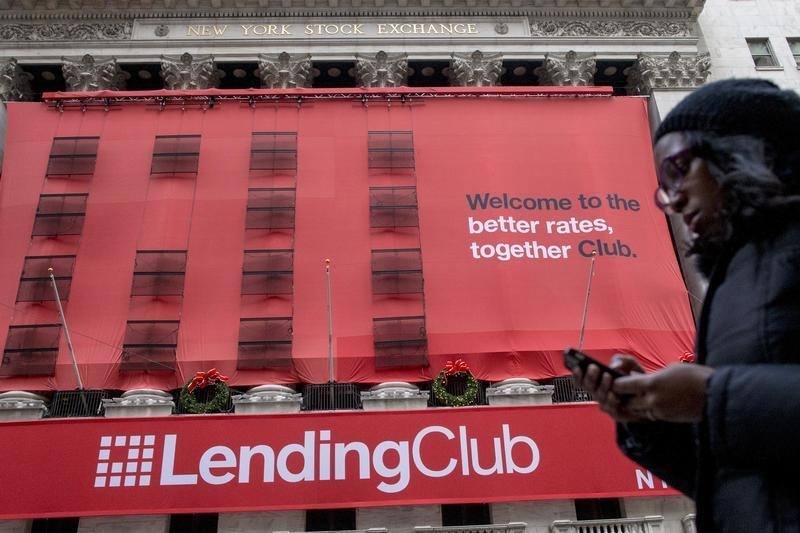 Lending Club, like other fintech upstarts, aimed to disrupt bank lending. It’s now clear that its innovations didn’t extend to building a new kind of pure financial-sector culture. The company’s founder, Renaud Laplanche, was forced out as chief executive in May after various irregularities were discovered, including related holdings he hadn’t disclosed. As it tries to draw a line under the episode, Lending Club now alleges Laplanche and family members also took out loans in late 2009 to boost volume, repaying them early the following year. The $1.6 billion company on Tuesday convened shareholders after anointing interim CEO Scott Sanborn as the permanent boss. It also said it was cutting staff in response to a slump in volume. The new leader will work “to rebuild confidence,” he said. That’s needed for a few reasons. First, the cultural tone is set at the top, as Bill Dudley, president of the New York Federal Reserve, noted in a speech around the time Lending Club went public in 2014. If Laplanche was okay with a bit of self-dealing, then maybe others were too. The presence of ex-Morgan Stanley boss John Mack and former Treasury Secretary Larry Summers on the board doesn’t seem to have guaranteed pristine behavior. The new CEO also needs to get back in the good books of customers and investors in its loans to get business going again. Then there are U.S. watchdogs, which have been eyeing the new world of financial technology and trying to figure out how they should get involved. The whole industry could struggle if problems like Lending Club’s provoke a heavy-handed regulatory response. Last but not least, there are Lending Club’s shareholders. The company priced its initial public offering at $15 a share and the stock soared above $20 in the early days of trading, but it has been essentially downhill in the 18 months since. The shares fell below $10 early this year and even after Tuesday’s announcements were greeted with a pop, they’re now below $5. That’s not the kind of disruption owners had in mind. A woman passes by a Lending Club banner on the facade of the the New York Stock Exchange December 11, 2014. Lending Club alleged on June 28 that its founder and former Chief Executive Renaud Laplanche took out loans from the online lender in order to inflate the company’s volumes. Laplanche and his family took out $722,800 of loans in December 2009, just months before the company announced a major capital raising from outside investors. Loan volumes are a key metric for investors to determine online lenders’ value. Lending Club made $25,000 in revenue from the loans and they were repaid by February 2010. A spokesman for Laplanche declined to comment, Reuters reported. The entrepreneur left Lending Club in May after the company uncovered other unrelated loan irregularities, sending shockwaves through an industry already strained by faltering investor appetite for loans, increasing defaults and the possibility of heightened regulation. The company also said that loan volumes in the second quarter have dropped by roughly a third from the previous quarter and that it would cut 12 percent of its workforce, or 179 roles, in response. It said that interim CEO Scott Sanborn would replace Laplanche at the helm. Hans Morris, who had been interim executive chairman, will take the role of chairman. Shares of Lending Club are down around 60 percent since the end of 2015. They traded at around $4.45 at 1:30 p.m. EDT on June 28. The company went public in December 2014 at $15 a share, and the shares closed at $23.43 on their first day of trading. Lending Club is holding its annual meeting of shareholders on June 28, postponed from earlier this month.